Rent IDL Ballroom | Corporate Events | Wedding Locations, Event Spaces and Party Venues. IDL Ballroom is a new multi-use venue serving event planners, promoters, educators and the general public. Our client-focused approach provides a modern event space with limit-less possibilities with a cutting-edge attitude to provide a high level of services. Say ‘I do’ at IDL Ballroom. We host a variety of wedding events including rehearsal dinners, bridal showers, engagement parties, wedding receptions, and even wedding ceremonies. Our unique complex offers several options for engagement and bridal photo sessions. Our event staff includes a professional wedding & event planner to assist with your needs. Add an air of elegance to your corporate gathering by hosting your next meeting or company event at one of the most charming locations in Tulsa. The IDL Ballroom is available to rent for your next company outing. Whether it’s a traditional day meeting, network event, holiday party or banquet, our ballroom offers the perfect atmosphere for a professional setting, whether formal or laid back. A great place for concerts and performances in the heart of downtown Tulsa. Our professional staff has years of experience in the music and entertainment industry including festival work. Our list of amenities and our flexible layout can accommodate every kind of live performance event. 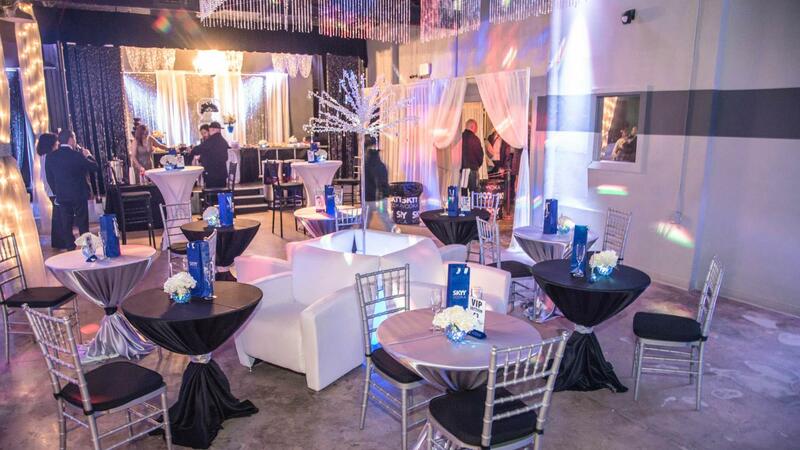 Let IDL be the backdrop for your unforgettable celebration. Whether it’s an adult cocktail party, a children’s themed party, a quinceanara, or a sweet 16 party, we have a variety of offerings and vendors to help make your big day the best! The best way to catch up with old friends and family with plenty of space, restrooms, eating and party area. Flexible bar options with either cash bar or bar buyout. Ask us how we can make your next reunion the best EVER! IDL Ballroom is the place to be for an extraordinary prom. Our 14,000 square foot facility will give your guests everything they need for an enjoyable evening full of fun and excitement! Treat your donors to a night they’ll remember. Let our event staff help you plan the event of the year without creating a headache. We can help you maximize your event-planning dollars and create an experience that is sure to keep the donations coming in. Whether it is a gala, anniversary party or baby shower, your guests will always remember your special event at IDL Ballroom. The IDL Ballroom can provide the perfect space for your next event whether it’s cocktails and hor d’oeuvers or dinner and dancing. Let IDL’s staff help you make your event dreams a reality.